We employ guides who, like us, are very experienced sea kayakers with a personal commitment and passion for conservation and kayaking. Irrespective of their own experience, new guides undergo a detailed training programme specific to the Hauraki Gulf conditions. Being paddlers, we all enthuse most when we are in a sea kayak sharing with others our skills, experience, knowledge, passion and commitment. Auckland Sea Kayaks is very fortunate to have the best guides in the business and we are looking forward to paddle with you shortly. If you want to see what our customers think of them we invite you to read some reviews on TripAdvisor. 'Mo' is a veteran sea kayak guide who started guiding on the Coromandel back in 2002 and has been with Auckland Sea Kayaks since 2014. He is a qualified emergency medic and world-class white water paddler. Mo is always on an adventure, full of energy and one of the best kayak instructors in the industry. He is a senior kayak instructor at WERO, Auckland's artificial White Water Park, and kayaked full-length sea kayak trip of Fiordland in 2017. We are fortunate to have the talents and expertise of Logan on our team for the fourth year in a row. Logan is a born and raised Aucklander who started his love for the outdoors being a conservation park ranger for the Auckland Council many years ago. This experience lead Logan to pursue a full-time career in outdoor education and guiding. He has completed a Bachelor of Sport and Recreation focusing on Outdoor Education. As a keen sea kayaker, Logan has done many solo paddling expeditions including a solo unsupported circumnavigation of Great Barrier Island. 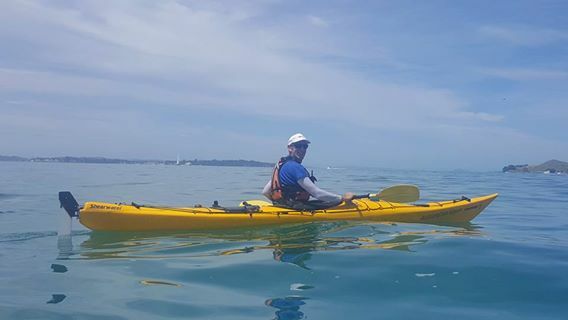 Nic founded Auckland Sea Kayaks as he is passionate about the Hauraki Gulf, its natural beauty and the ability to have a great sea adventure so close to Auckland. He is seen most days in a kayak and after spending many years overseas he loves showing off his backyard to locals and tourists. He is involved in many local conservation projects and first went sailing in the Hauraki Gulf at the age of two. Daniel O'Connor is originally from Ireland and moved to Auckland in 2011. 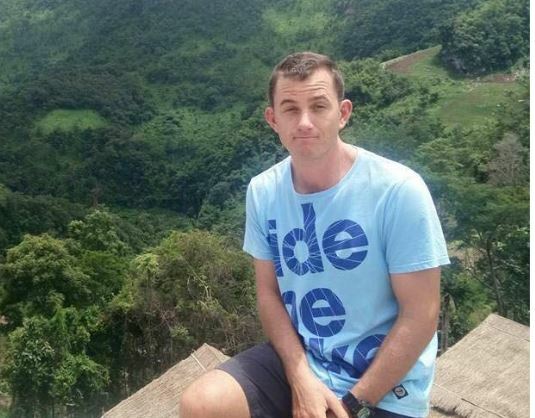 After road tripping around NZ in a campervan he found work with his engineering degree. Over two years were spent working on some of Auckland's iconic building's. The summer of 2014 saw him continuing his travels across Asia, Middle East, Europe and Scandinavia. Having spent the spring and summer month's working as a sea kayak guide in the fjords of Norway, he found his way back to Auckland for the summer. 2018/19 will be Daniels fourth season guiding for Auckland Sea Kayaks. Jono Tan joined our team in 2016 and last winter in the USA (their summer) white water kayaking from North Carolina to California. He has a double degree in physics and chemistry and has decided a life in the outdoors at this stage of his life is for him. When not sea kayaking in the Hauraki Gulf he is either seen at WERO white water park or paddling a river. Originally from England and started paddling career on the very cold rivers of the Scottish winter. Finally figured out that paddling was a summer sport while canoe tripping in Ontario and paddling whitewater in the US. Made it to New Zealand 16 years ago and discovered the sea kayaking, tripping and surfski available on the beautiful Hauraki Gulf. Has a background in River Geomorphology and a day job in Health Information Technology. Loves seeing people enjoying paddling and getting out there. Sierra Stretton moved to Auckland in 2006 from Palmerston North to join the New Zealand Navy where she specialised in Communications and Radar. With the Defence Forces, Sierra got to travel the world with friends working in interesting places like the waters off Somalia and the Sub-Antarctic Islands. After 7 years, experiencing different adventures and cultures her love for the outdoors grew and she decided to make it her career. Heidi is the current Taranaki Wave Classic Windsurfing Event champion two years in a row and in her free time guides our Duke of Edinburgh expeditions for high school students. Heidi has worked in many Outdoor education roles and we are very lucky to have her on the team over the past 5 years.